Sir Robert McAlpine are responsible for creating some of the most iconic engineering landmarks in the UK. The London Olympic Stadium, Eden Project, Bloomberg Building, and the refurbishment of the Queen Elizabeth Tower (Ben Ben) are just a fraction of their portfolio that has shaped Britain’s landscape and heritage over the last 150 years. Now they wanted an employer brand and careers website to reflect that proud history, and asked WDAD Communications to help them bring it to life. 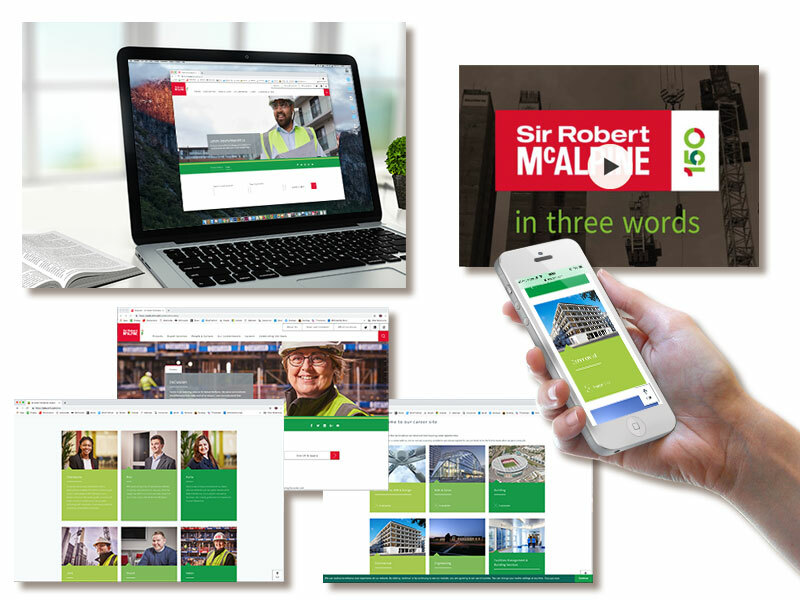 To provide content for a responsive careers website that would help to position Sir Robert McAlpine as an employer of choice in a market where key skills were in high demand, and help to showcase their inclusion and diversity. Working to a fixed, and tight deadline, to coincide with their new corporate website relaunch, we had to undertake an extensive research programme to identify the employer brand pillars and then develop content that would communicate these key messages to their target audiences. The result was www.srm.com/careers. Visually-led, with succinct and engaging copy; content that was reduced drastically from the previous iteration of the careers site, it heavily featured their current employees with nearly 30 team profiles and five videos shot across a number of their UK offices and construction sites over a two week period in the run up to Christmas! The website was successfully launched on time. With a distinctive style, the website instantly stood out in comparison to many in the sector and with the successful integration of a new ATS (www.eArcu.com), the candidate journey is a joined-up and hugely positive experience with a significant increase in application numbers already reported in the first few weeks of the website being live.